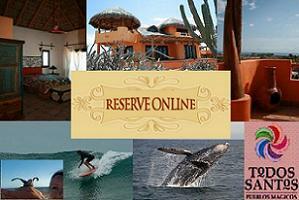 Can You Own Property in Baja California, Mexico? Title Insurance. Title insurance is now being offering by an insured title company, Stewart Title. Buying Property In “The ‘Restricted Zone.” This heading sounds more ominous than it is. Essentially it is seen, from Mexico’s point of view, as an essential safeguard to the integrity of the country’s borders. Most of Baja is in this zone including Todos Santos; therefore the requirements in the next paragraph are mandatory for acquiring real estate in this community. The Foreign Investment Law states that no foreign national may hold direct title (for residential purposes) over the “restricted zone”. This zone is also referenced by Article 27 of the Mexican Constitution. The “Restricted Zone” is defined as any part of Mexican territory up to 100 kilometers in depth from Mexico’s borders and 50 kilometers in from its coastline. Outside of the restricted zone, foreigners may acquire real property upon securing a permit from the Ministry of Foreign Affairs (“SRE”). In some cases, a simple notice to SRE may be sufficient for property to be acquired. However, within the restricted zone, the “direct ownership” of land by foreign nationals is prohibited. There are, however, various ways and procedures that real estate can be acquired for use by foreigners in this zone. A foreign national can have legal title other than ownership, using two methods: (1) 100% foreign owned Mexican company may directly acquire property within this zone to undertake non-residential activities: e.g. tourist, commercial and industrial development; and (2) by trust: (a “fidecomiso”) foreign nationals wishing to acquire property for their benefit and use as for residential activities, and Mexican companies with 100% foreign capital stock, may use this method (obtain a fidecomiso) to acquire residential real estate. Under the fidecomiso method, credit institutions may act as trustees over trusts that grant fiduciary rights over real property located within the restricted zone, as long as a permit is granted by SRE. The maximum term of a trust is 50 years; however, this term may be renewed at the request of the interested party. The SRE has the right to verify at any time compliance with the terms of a trust. Beneficiares of these trusts may be foreign-owned companies or foreign individuals. How Far is Todos Santos from…? How do I Get to the CalyCanto Casitas? What is a Pueblo Magico? Is There a Bus Between Todos Santos and the Airport?